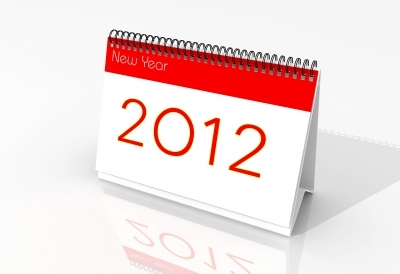 It is the end of 2012… already. The past year flew by, but a lot of great things happened. On January 9th, I wrote a blog post called My social media resolution. My goal was to start a podcast for young professionals entering the world of communications. The blog post sparked a comment from Julia Kent. After a few guest appearances, Julia became an official co-host. When Gini Dietrich found out I was planning to start a podcast she introduced me to the talented Molli Megasko. After a few guest appearances, Molli also joined our team as an official co-host. A few months later, Molli had to leave the show due to a new job. But Julia and I still mention her name on the show from time to time. The pilot aired on April 3, 2012 with an interview with MSVU student, Sarah Bustard about using social media to connect and learn from public relations and communications professionals across Canada. The show exploded and we have hosted many big names in the industry of public relations and communications, such as Gini Dietrich, Scott Stratten, Caroline Kealey and Martin Waxman. The show has garnered dozens of loyal listeners that span the corners of the globe: Canada, U.S., Romania, U.K. and Australia. Young PR Pros: Episode #27 – What makes a leader? What do Julia and I have in store for 2013? VIDEO! In 2012, we started to dabble a bit in doing video podcasts of key interviews. In 2013, we hope to include more videos. And maybe a live show? Or maybe a new host to join Julia and I? If you are interested in following the exciting events of Young PR Pros you can subscribe on iTunes or follow the blog. In 2012, I produced my first video. It was a Young PR Pros episode where Julia and I interviewed Darcy Boucher about fashion PR. The first video had a simple silent introduction and sound issues (the famous woodpecker). The second video added a bit of music to the introduction, but was one continuous shot. And finally the third video incorporated cutting the video and included two different interviews in different locations. In 2013, I hope to produce more simple and short vidoes, but not just for the podcast. I would like to start doing short video blogs maybe once a month, following Gini’s example. This year was the year for Pinterest. According to MarketingLand.com, Pinterest saw a 1,047% increase in unique PC visitors. The popular bookmarking site was up 1,698% in mobile app usage (next highest growth was Twitter +134%) and a whopping 4,225% on the mobile web (next highest was Reddit +153%). I have been using Pinterest since Sept. 29, 2011. However, I didn’t truly start pinning until 2012 when I discovered how easy it was to plan my wedding with Pinterest. Pinterest has been proof that our society loves communicating visually. The growth of Pinterest should also encourage business owners to think about how they can use Pinterest to connect with their audience in 2013. In 2013, I plan to continue to use Pinterest to plan my wedding, but I also foresee incorporating Pinterest in to more social media strategies. On July 26th, I wrote a blog post about the top 20 things I want to do before I die. I am very proud to announce I can check off number 1: Start up a non-profit organization. At the end of 2012, along with an awesome team – my Team Frosty, I organized a movie premier called Blind Ambition, recounting the life of Kevin Frost, a deaf-blind speed skater. At the premier we announced the launch of the Impaired Speed Skating Association of Canada (ISSAC) created to help skaters like Kevin succeed in their sport. ISSAC empowers impaired speed skaters to dream big and aim high. Our goal is to fund training, travel and equipment expenses of our skaters to help them represent Canada at internationally recognized impaired speed skating competitions. At the movie premier we raised $21,000, which will be used to help Canadian impaired speed skaters compete at the Dumfries 2013. The Impaired Speed Skating Association of Canada is partnered with the Impaired Skating Scotland. Together we raise awareness of the sport and increase its popularity across the world to have impaired speed skating recognized as a sanctioned sport by the International Paralympic Committee. In 2013, I hope to check off number 20: Get married to my sweet heart (we are almost there). That’s it, that’s all for 2012. Thanks to all for following my blog, commenting and starting some exciting conversations. See you all in 2013. This entry was posted in Public Relations, Social media, Videos and tagged 2012, 2013, communications, gini dietrich, julia kent, kevin frost, kristine simpson, looking back, molli megasko, new year, new years resolution, non profit, pinterest, public relations, video, year in review, young pr pros by Kristine D'Arbelles. Bookmark the permalink.